*UPDATE* We’ve updated this blog post to reflect the 2019 intake. Please note this if reviewing the comments. Recent grad? Now is your chance to get that career started. The Engineer-in-Training Program (EIT) and our Technician-Entry-Level Program (TELP) recruitment has begun for 2019. We are hiring for multiple positions in each program, in various locations right across the province. And follow those links below. They lead to a great deal of information, including qualifications, application process, position types, educational streams, profiles and videos of your colleagues and much more. The Engineer in Training Program hires recently (within the past seven years or spring of 2019) gradated engineering students into full-time, permanent positions in our organization and rotates them through various work experiences over a 4-5 year period in order for them to become eligible to apply for an attain professional engineering status. Geo-scientists in Training (GIT) are also in this category. The Technician Entry Level Program hires recently (within the past seven years or spring of 2019) graduated students into full-time, permanent positions in our organization and pairs them with skilled and experienced staff to build their experience on-the-job over an approximate 2-year time frame. Here is the live posting for our 2019 TELP recruitment! Many of those that have entered the BC Ministry of Transportation and Infrastructure through this competition have grown to become some of our strongest leaders. Are you next? Applications will be accepted until Jan. 28, 2019 for Engineer-in-Training, and Jan. 29, 2019 for the Technician-Entry-Level Program. If you are or know of some bright, enthusiastic, forward thinking new graduates that would be a great fit in our ministry, please pass along these job postings for them to apply. I’m just wondering if the third stage of your hiring process for the TELP program (interview process) has been initiated or not. The email said an in-person interview would be scheduled for successful candidates, do you think there is a chance to accommodate people that are out of the town during the interview period? If you can’t make it to the in person interview you will be offered an option for a Skype interview. Hope that this helps! What are the starting salaries for the telp program? I am in the assignment portion of the recruiting process and would like a little more information about this so I can determine whether or not this position would work for me if selected so I don’ waste either of our times. Thanks for your email – and for applying on the TELP post! We hope this information helps! The link to the actual job posting has different job titles listed. Where can I find those job descriptions so I can make an informed decision about applying? Hi Trent – we have sent your question to the TELP/EIT hiring team. Stay tuned for more info. Hi Trent – the actual job description document is on the posting page at the very bottom (and we mean, very bottom) of the page. Below the application requirements section, down to “job category”. You will see a document there titled: Technical Entry Level Position Job Profile. Each of the positions, their basic duties and the required education are captured in this document. Please let us know if you can’t locate this, or if you have any other questions or concerns. Good luck! Hello! I believe that the applications opened for the TELP 2019 intake yesterday (January 7, 2019). However, I do not see any postings listed anywhere or any links to the postings. Can you pkease advise where I may view openings and apply? Sorry for the delay – the posting is now live and we hope you apply! Hello! Where can I apply for any new 2019 TELP positions? It is January 7 (date of opening), but I haven’t seen any updated links, etc. Thanks! The links should be all updated. Please let us know if you’re having any further concerns. Perhaps do a “Hard Refresh” on your web browser. The Technician Entry Level Program (TELP) information will be posted on Monday, Jan. 7. I suggest you check back on this blog then, if that`s the area of work suited to you. *Where I could find co-op offers for students out of BC? *Do you have positions for students of Construction Management? *Is considered Construction Management Bachelor Degree as an Engineer to apply under the Engineer in training EIT? *If applying to the TELP, could I be considered as a co-op student at the beginning and take a break period of time in order to finish my degree? All in all thanks for everything and sorry for my long question. Thanks for your interest in working for the BC Ministry of Transportation and Infrastructure. I’m looking into who can provide the answers to your questions about employment with our organization. I’ll get back to you here, when I have that information. I understand you have been contacted by email (or will be contacted very soon by email) in response to your questions. Yes, I was contacted by email. Thank you so much. I had been placed in the eligibility list for a 2018 E.I.T competition. Since a similar position opened up in 2019 and the list is valid for 12 months would I be eligible for the job offer? Thanks for checking in with us about the EIT program and whether you are still on the eligibility list, or you need to re-apply. I am seeking the answer to your question, and will get back to you here. Where/When does the 2019 TELP posting go up in January, i.e. the external bc gov job board? Or will it be posted separately on here? Would this program be still available for a 2015 bachelor’s degree graduate? I am currently working in a non technical position and would love to work for the ministry long term in my field. The Technician Entry Level Program accepts applications from candidates who have graduated within the past 5 years – so it sounds like you should submit your application, along with a cover letter outlining your strong desire to work with our team long term, when the intake happens again in early January. Good luck! Thanks for the quick response even in the holiday season. Really appreciate it!! You’re welcome, Kartik. I understand that you have now been contacted, with the information you were seeking. Hi, Just wanted to ask when will you be accepting EIT programs again this year? Thanks for checking in with us about the EIT program. Hello! We can’t disclose that number at this time but can let you know that applicants should expect offers during the week of April 16th. Hope that this helps. With mid-April fast approaching, has the team established a date for when the first round of offers will be sent out? Good morning – thank you for your comment! We spoke with the hiring manager and they informed us that applicants should expect offers during the week of April 16th. Hope that this helps. Hello Fresh Graduates, BC Highway’s salary is the lowest among all governments in Canada. Most of the work have been outsourced to private sector, it is difficult to get good experience in this organization. However excellent work life balance because there is no work to do. They posted 4 showcases of EITs who stayed with them… but that is like 10% retention rate in the past decade. Most EITs cannot make the ends meet and left BC Highway. Try to find a job in private sector or other municipal governments first. Don’t waste your youth away. Thanks for your comments, our apologies for the delay in this reply. We connected with our TELP/EIT folks to get some answers for you. Engineers-in-Training (EITs) get great work experience – they are paired with senior engineers who support them throughout their time in the program and they get to work on projects all over the province. They are supported throughout the process of applying for their P. Eng., and they have a permanent position at the end of the program. Not many other employers offer this level of support, variety of experience or guaranteed employment. EITs enjoy working here. In fact, the retention rate of EITs in the ministry in 2017 was 65% and the percentage of employees in the ministry who are under the age of 30 has increased from 5% in 2005 to 13% in 2017. The employee engagement score for our EITs is higher than the average scores both in the ministry and amongst our BC Public Service colleagues. Our TELP and EITs often become some of our strongest leaders and we firmly believe this annual intake program is one of the best ways to develop your career. $43,000 to start… unionized engineers…definitely a first in Canada. Engineers in Training starting wage reflects the fact that when they are hired, they do not have their P. Eng. status. They are supported throughout the process of applying for their P. Eng., and they have a permanent position at the end of the program. Hope that this helps. Yes, $43,000 to start is an insult to engineering graduates. After 5 years it’s $65,000 still the lowest in canada for engineering professional. Maxed out at $80,000 after 10+ years. Average pay for a 10 year veteran is minimum $100K. let’s check city of vancouver and richmond first, they pay more and got more interesting projects. I am one of the candidates for TELP and work on the written assignment. I am wondering the hiring team will announce the result of this step of hiring process through email as they did so far since I am going to be outside of Canada for less then two weeks after submitting this assignment. Please inform the person who sent you the written that you will be out of the country, and how they can best reach you, in case they have any questions, etc. Regarding your previous comments to Sal – informing him that written assignments for the TELP were to be sent out early this week, have they been sent out already? Are they sent by email? Applicants will be notified early next week and written assignments will be sent out by email. Hope that this helps. I was wondering whether you could provide a timeline for when written assignments will be sent out? We are looking into this for you. Stay tuned. The hiring manager has let us know that written assignments will be sent out early next week. Good luck! I have a question regarding the TELP program, can the only Technologist apply for the TELP or the degree or master candidate can also apply for the position? The program only stipulates that you are a recent graduate (within five years) not the type of program you must have graduated from. Hope that this helps! Thanks for letting us know. There are three EIT positions listed on the government employment website as a part of this intake. Hi there Nick, we thank you for your comments and can appreciate your frustration. As you know, the landscape that makes this part of the province so amazing can also reduce the footprint we have available for widening. Creating new space for highway (either by blasting or otherwise) is very costly and time consuming. We are also somewhat restricted by our current fiscal budget. Wherever possible, we seek federal funding to supplement some of the expenses involved in four-laning (as we recently announced with the Kicking Horse Canyon four-laning project). We can assure you that we recognize the importance of this corridor and continue to look for ways to improve it, big or small, however and whenever we can. Thanks for your interest in our TELP program. It usually starts early in the new year. We’ll announce it via our TranBC Facebook and @TranBC Twitter accounts, so if you follow us on either of those platforms, you’ll get the details there. (Or you can check back with us here). Thank you for your timely responses, they are appreciated! I was wondering if you could provide an update on the status of the Northern TELP competition, which appears to be a little behind the other competition mentioned above. It has been over three weeks since the written assignments were collected. Thank you. We have sent your question forward to the hiring manager for an update. Stay tuned. Heard back: We are on schedule. Invites for interviews are starting to be sent out to those candidates who passed the written assignments. Thanks for your interest. We hope to have the written results done in 3-4 weeks. Hope that this helps! Yes , that helps, thank you. Is everybody going to be getting a result? or just the successful candidates are going to be notified? Unsuccessful applicants will get formal notification and can contact the hiring manager for more information about how they were screened out. Usually this opportunity comes at the close of the competition (after the successful applicants have been chosen). Here’s a video about the process. Hope it helps. If you have any other questions – let us know. Good luck! There is no way for my transcript to be sent along with my application via email as the University would have to send a paper copy via mail which would arrive after the application deadline. Is it possible to have it sent to a MOTI office by mail instead? Yes, you can mail the original to us. 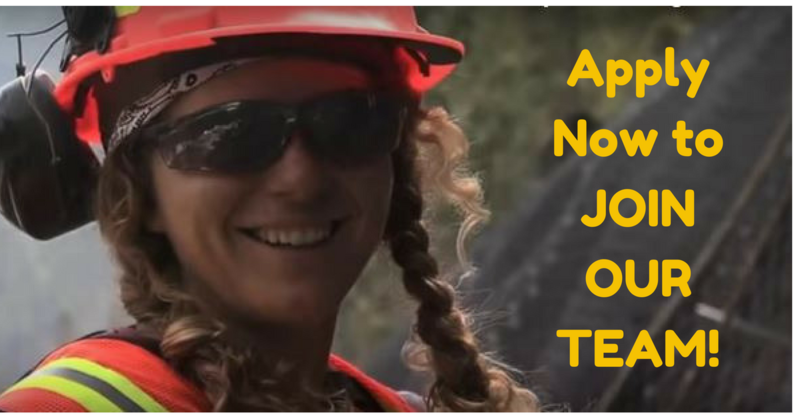 Please email either FS.Eng.TELP@gov.bc.ca and/or Northern.TELP@gov.bc.ca (depending on which or both you applied to) to get our mailing address. In the interim, you can also send us an unofficial transcript before closing time today to ensure you meet the deadline. Hope that this helps and good luck! The proxy server received an invalid response from an upstream server. The government employment opportunities website went down yesterday but it is up again and we encourage you to go back to the site and re-apply. Good luck! Hi, are there any positions for undergraduate students looking to go into transportation engineering? In which position is a Geographic Information System (GIS) used the most? The Project Administrator – Drive BC is your best bet. Hope that this helps! Hi.. is there opening for electrical eit this year? Our apologies – we originally responded to you with TELP positions when you asked about an Electrical EIT opening. Unfortunately, we are not looking to hire an Electrical EIT this year. Under the EIT program this year, we are hiring Traffic EIT and Structural EIT. Potential locations for these positions are Prince George, Coquitlam, Kamloops and Victoria. Note: our EITs rotate geographic locations and positions throughout their time in the program. Will you be looking at hiring GIT’s under this years EIT program? Unfortunately we won’t be hiring GITs as a part of this years recruitment. Thanks for checking though! And selected “*MULTIPLE LOCATIONS” But I do not see anything regarding the TELP/EIT job posting. Any suggestions would be great. Thank you. We are almost ready to post for our TELP/EIT intake. Intake is set to begin on Friday, January 6th and we encourage you to check back then. Good luck! When will the 2017 intake be open for accepting applications? If a candidate is successful and is selected, when does their job officially begin? Our next TELP/EIT intake will begin in early January. Start times usually begin in May or June. Hope that this helps! Hi, I recently finished my NAT certificate at BCIT with CCNA at level 3. Would getting involved with TELP help with getting my foot in the door working for the the ministry? Hope that this helps, and if you have any other questions, don’t hesitate to ask. Hi, when is the next student open house? I live in Victoria and will be graduating at the end if 2016 with a diploma in Environmental Technology at Camosun. I also have a certificate in AutoCAD Graphcs (2011) and a certificate in Engineering Graphics (2011). I understand the next intake is January 2017. Thanks for connecting with us here and your interest in working with our ministry. The TELP/EIT intake process usually begins in early January but at this time, we don’t have any further details. Good luck! could i register for this program ? if yes , could you please some steps should i fellow to start . Thanks for your interest in our TELP/EIT program. Every year we hire recent technical school graduates for the Technician Entry Level Program (TELP) and recent engineering graduates and masters students for the Engineer In Training (EIT) program. The hiring is done through a competitive process which means that if you are interested you will need to apply to the posted job opportunity in early January. Here is a link to more information, we hope it helps! Lets put more theoretical buts in government positions, how about first requiring them to work within industry before becoming politically desensitized bureaucrats with no idea how the real world functions. Would you mind sharing insight on how the selection process went? What were the major deciding factors: interview performance, reference feedback, or availability/fit? Not looking to overturn any decisions; just curious. Hi Anonymous, Thanks for your question about the selection process for EIT and TELP positions. I’ll check with our hiring folks and get back to you on this. The recruitment process for this competition was based on merit as is required with all hiring decisions in the BC Public Service. We followed a process where by all eligible applicant’s education and experience were assessed. As they progressed through the competition, further assessments of their knowledge, skills, abilities were completed through written assignments, interviews and past work performance checks. Is there any particular reason at this point if we still haven’t heard anything? Its now May. What should we be thinking at this point if our references were contacted, but we have not yet received an offer not regret letter? This has been an extremely long process and tough to know if we should be holding out to hear good news or move on. Thank you for connecting with us here and for your patience during the final stages of this competition. TELP offers are still being made but we expect that unsuccessful applicants should be notified by the end of this week. Hope that this helps! So here we are again, at the end of another week of waiting. Please tell us what we all would like to know… When will we hear from you? And also – when does the grievance process begin? Sorry for the delay. The process has taken longer this year due to the length of time to have the verbal offers accepted. All offers have now been accepted and the BC Public Service Agency is busy working on getting out all the regret, eligibility list and offer letters, which should start flowing out mid-week. It is almost the end of April. Will TELP results be finalized this week? Roughly how many positions is the Ministry looking to fill this year? We are looking to fill 13 positions with this years TELP competition. Results should be finalized this week. Hope that this helps! My contacts were contacted for TELP but I have not received any notification yet. Do you know when I should expect to get a response? Offers are still being made for the TELP competition. After all offers have been made for TELP, the formal notifications for that competition will be sent out. Hope that this helps. If we have not received a regret letter yet and our references have not been contacted, is it safe to assume that we will not be receiving an offer and not be put on the eligibility list? Formal regret notifications have been sent out for the EIT competition. Offers are still being made for the TELP competition. After all offers have been made for TELP, the formal notifications for that competition will be sent out. Hope that this helps. No Bridge (Structural) EITs were hired. I have not received a regret letter as of yet but I have been in touch with my references and they have stated that they have not been contacted for reference checks. Is it safe to assume that my chances of receiving an offer or being put on the eligibility list are zero to none? Is it safe to assume that those who did not receive an offer by this point are out of the running for the TELP/EIT program? I understand the managers can be busy, but some transparency regarding the recruitment status would be greatly appreciated! The hiring manager informed us that offers and regrets would be formalized by mid April. If you have not yet received a regret letter, you might still be in the running. Hope that this helps! Please has decisions been made about TELP positions? I haven’t received any regret notification and am curious. Offers are currently being made and regret notifications are being sent out to those who were unsuccessful this week. Hope that this helps! So no Mechanical EIT is being hired/placed on eligibility list even after they went through all stages of the selection process? I have received a regret email about my application for Mechanical EIT position. However, in the email, it says that applicants were appointed to Civil and Electrical EIT positions. There is not any word in the email about Mechanical EIT position. Would you please kindly let me know what is the reason for that. Thank you. Unfortunately, we will not be hiring a Mechanical EIT position at this time. Hope that this helps. will those who are waiting results but are unfortunately unsuccessful also receive some sort of notification? Yes, applicants who are unsuccessful should receive regret notification in the next week or two. Hope that this helps! I am anxiously waiting for the results. Will we know by this week? Candidates for both programs should hear in the middle of April if they are successful. Good luck! Will I also hear if I am not successful? Yes, if you are unsuccessful in the competition you will receive an email regret notification saying so. Hope that this helps! Thank you! If unsuccessful, do you know when we should be expecting the email? We spoke with the hiring manager and she informed us that the regret notifications are expected to go out in the next week or so. Hope that this helps! Hi, I have just received a job offer but TELP is my first choice. If my references have been contacted, is it safe to say my chances of receiving an offer tom TELP are fairly good? Unfortunately, we can’t confirm anything until a formal offer has been made. Good luck! When do we expect to get a response? Candidates for both programs should hear in the middle of April if they are successful. Hope this helps! Hope everyone had a good long weekend :D. I was just curious if offers for the EIT program have gone out or decisions are still being made? Thanks! We have sent your question forward to the hiring manager for review. Stay tuned. Hello again. We are still doing reference checks for both TELP and EIT. Candidates for both programs will hopefully hear in the middle of April. It just depends on availability of the references and our ability to reach them. I’m just wondering if you have started the third stage (personal/video interview) of your hiring process for the EIT program or not yet. Thank you for connecting with us. Scheduling for interviews is set to begin next week. Hope that this helps! When would I be informed if I get a chance to do the written assessment? Thanks! What does it mean? Is my application accepted? Good question Jay, we have sent this along to the hiring lead for more information. Stay tuned. When you applied on the MYHR employment website for the TELP/EIT program, there was a privacy statement on the posting. This original notice did not meet the needs of the provincial Privacy Branch and so we were required to notify all candidates that we collect personal information during recruitment. Unfortunately, the initial email that went out was not clear to candidates and we received multiple responses asking to clarify their application. So we decided a clearer version needed to go out. You should have received a second email clarifying how we use the information collected during our recruitment process. If you have any further questions about the collection of personal information or how it is used during recruitment, please contact the Ministry of Citizens’ Services and Open Government, by mail at PO Box 9493 Stn Prov Govt, Victoria, BC., V8W 9N7, by telephone: (250) 356-1851 or by email: Privacy.Helpline@gov.bc.ca. I applied for the TELP program District Operations Technician (Kelowna) and would like to know how important willingness to relocate is in this field. If the candidate prefers to stay in their area, is this a large factor in determining who will be recruited? We have shared your question forward with the hiring manager. Stay tuned. We received hundreds of applications and will be contacting applicants who screened into the telephone interview stage in the next couple of weeks. Good luck! I am a recent graduate of UVic, and have some professional experience as well. I applied for the TELP program about two weeks ago, to build my skills and prove myself in an entry-level program. I was just wondering, if you would be able to tell me, if selected, when we will start to hear back concerning our applications this year? Thanks for applying! We received hundreds of applications and will be contacting applicants who screened into the telephone interview stage in the next couple of weeks. Good luck! I noticed the application deadline extension for the TELP positions until January 29, 2016. Does this extension include the EIT positions as well? Thanks! Unfortunately the EIT competition closed at midnight on January 22nd. Do you have this EIT program once a year or once every a few years? Thanks! Our TELP/EIT program typically runs every year, so we encourage you to check back in early 2017. I got my degree assessed with APEGBC and was granted an EIT status in 2013, however I got my Civil Engineering Undergraduate degree in 1999. Can I still apply to the LSO ENG 1- Engineer-In-Training Program? Applicants have to have graduated with their post secondary degree within the past five years. I am in my last semester and will be graduating with a Bachelor of Arts in Geography this April (2016). I also have a Liberal Arts Diploma, for which a graduation request has been submitted to my school. However, I am still waiting for this to be reflected in my official transcript. Am I eligible to apply for the TELP program? If you are graduating this spring you can apply. Thanks for connecting with us here and good luck! Are GIT’s going to be hired under this year’s EIT program at all? We checked with the program lead who confirmed that we will not be hiring for Geo-scientists this year. We encourage you to check the BC PSA employment opportunities website for these types of positions. This year Nicole Folk is leading the charge on our TELP/EIT program. Please address your cover letter to her. Good luck! I’ve submitted my application and sent my transcript. I didn’t really come across a questionnaire in the application process, other than asking the places I’d be willing to relocate to. Just want to make sure I’m not missing anything important! If you received a confirmation from the BC PSA website saying your resume and cover letter were successfully submitted, that is it. Good luck! Thanks for the quick reply and clarification! I submitted my resume and cover letter through the BC public service website, in addition I sent my transcript to the given email, but I didn’t get any response that they have received it or not. I have a Master’s degree in Computer Systems and Networks and I graduated in 2011. Do you need IT specialist like me? Please address your cover letter to Nicole Folk. An address is not necessary. Thank you and good luck! When will the TELP applications be open for this period? Our next TELP intake process is expected to begin in January 2016. We suggest you check back early in the month to be sure. Thanks for connecting with us here – we look forward to your application. I was interested in whether the TELP program will be available to apply for in 2016? Also, I have a Bachelor of Planning and I had heard that in past years, the Ministry offers opportunities for planning students. I was curious as to whether the opportunities for planning students fall under the TELP program? Yes, the TELP program will be up and running late 2015 early 2016. Please visit the Employment Opportunities website (https://search.employment.gov.bc.ca/cgi-bin/a/searchjobs_quick.cgi) and create a job search agent and you will be notified as soon as the posting goes live. Historically, planning degrees have been included in the list of acceptable focuses, but we have sent a message to the program lead to confirm. Hope that this helps! Help! I came across the winter intake deadline of Feb.11,2015 today. I have been trying to send in an application, but it appears all of the sites have been disconnected. Would it be possible to submit an application via e-mail? I feel that my credentials and work experience would be an asset to the TELP program and would love to participate. Sorry for the frustration. I’ve passed along your email to Chantelle Gergley who is running the TELP/EIT submissions. She’ll be in touch. I am a student at UBC, I saw an update of for submitting the application has been extended to 11th feb, But when I click on the link it shows no longer accepting application. I have been preparing my cover letter and resume for quite sum time for this position. I request you to kindly consider this request. I am wanting to submit an application and resume for the TELP program but the web site is not responding today. I am hoping that it is either too busy, will be working shortly as the cut off is today. Any suggestions would be appreciated. Apologies. I’ve passed along your email to Chantelle Gergley who is running the TELP/EIT submissions. She’ll be in touch. To apply for the TELP program, I must send my transcript electronically. However, my university (KPU) will only allow a hard copy of my transcript to be mailed. Am I able to mail a hard copy of my transcript instead of emailing it? If so, what is the address? Thanks! Would it be possible for you to scan your hard copy and send it that way? I am looking for Coop Work starting this Spring. I am currently enrolled in the Environmental Technology Diploma Program (graduate in 2016)at Camosun College. This program includes learning such skills as GPS,GIS,mapping, Geology and Geography, setting up reports, etc as well as environmental testing. I also have an engineering graphics certificate and autocad certificate. Unfortunately the program is for recent graduates only. We do however from time to time hire co-op students and encourage you to check back on those opportunities and, of course, we encourage you to apply to the TELP program when you have graduated. Thanks! I have a Bachelor’s degree in Civil Engineering from India in addition to experience of 9 years as a engineer in India.I needed information, if I can apply for this program. If your engineering degree is accepted in BC/Canada and graduation was within the last 5 years, then you are definitely eligible to apply for this program, and we encourage you to do so! Thanks for connecting with us here.